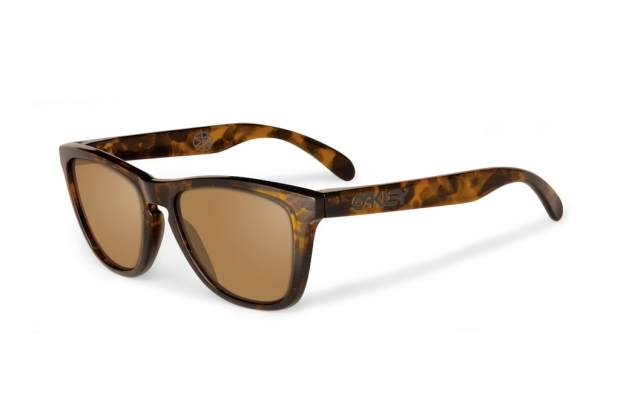 Over the last couple of years, the Oakley Frogskin has made a comeback in a major way. We remember way back in 1989 having a clear framed pair with purple iridium lenses to compliment our Oakley Razor Blades. We were cool in that 80's Vuarnet France kinda way...and for for reasons that we are failing to comprehend, that look is somewhat back. Thank the almighty that Oakley has seen fit to upgrade the look a little bit with the Eric Koston model, steering clear of the neon frame and going with a more classic look in the tortoise shell. At $120, we think they're a pretty good bargain, being that you could literally get shot in the face with these bad boys and not lose your eyes. You can learn more here.